In today’s HVAC marketplace, online presence is everything. Consumers look to Google to find heating product and A/C unit information, operation instructions, HVAC services, and more, and if your HVAC business isn’t being properly represented in SERPs, you are probably missing out on company dollars. However, traditional website SEO methods are no longer enough to rank well for HVAC services on Google and other search engines. In order to have a chance at a top Google ranking spot for the heating and air industry, your website must be highly optimized, using in- and outbound linking, well-organized content, and proper coding. But, it takes more than that to stand out among the crowd and end up in top ranking positions on searches and maps. Using images, videos, and other rich media formats that are correctly optimized can help give your website the boost it needs to rank well in SERPs. According to Cisco Studies, Internet Video Will Make Up 71% of Online Traffic by 2022. While the use of each of the SEO techniques is crucial, rich media such as video, images, and audio, can dramatically boost your SEO ranking and website visibility. Google is always establishing new and helpful ways to deliver better search results to its customers. Because of this, the search engine offers blended results in most cases, including rich media such as images, videos, and podcasts, as well as content. If your HVAC site offers more rich media and indexed avenues of information, it is more likely to appear in more search queries, resulting in more clicks and viewers. By using properly optimized rich media about HVAC within your site, you are able to create more links, shareable content, and keyword optimization that can boost your site’s trust and authority, strengthening your searchability. However, poorly optimized rich media does little to nothing for your site and can inhibit load times and user experience, negatively affecting your website authority and SERP ranking. When adding rich media to your HVAC site, ensure that proper planning, creation, and display efforts are followed for maximum exposure. 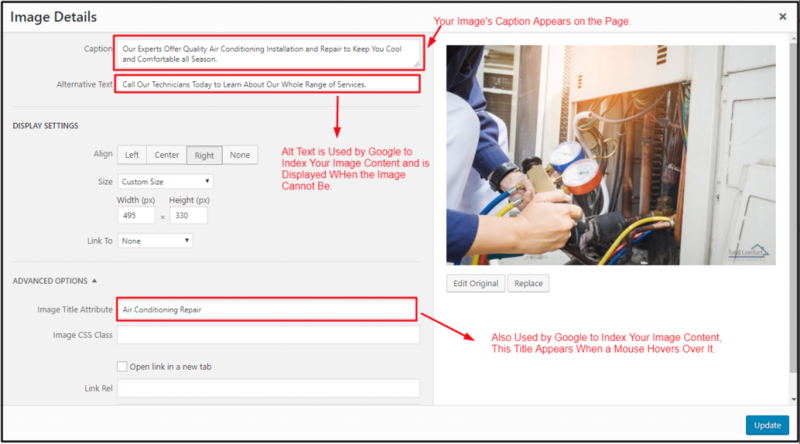 Including HVAC images as a rich media option on your site is not just a no-fail way to break up text and create better flow within your page, but it can also provide credible linking, sharing, and secondary SEO techniques for better ranking. However, each of your images must be correctly optimized in order to provide top rich media benefits to your HVAC site. They should be relevant to the content being delivered and be formatted correctly in order to provide maximum benefits. Image optimization is the process of making your images more detectable by Google crawlers. This means adding bits of information and data to help crawlers correctly and quickly index the content that is being displayed. Since Google is not yet able to index images, video, or audio itself, it uses the metadata and surrounding content to identify the topic being communicated. 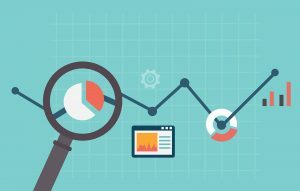 Therefore providing quality metadata that is detailed, informative, and contains keywords is imperative for successful HVAC SEO. When Google can index your images effectively, you appear higher in traditional search results as well as image search results. When It Comes to Great SEO, Every Image Matters. The images chosen for your webpage should flow seamlessly with the HVAC content presented. Images can be photos of work and services being completed, employees and company photos, or other HVAC-related topics, infographics, illustrations, or graphs and charts. They should be relevant to the idea of the page and offer a visual aid to the information presented. While unique images are always recommended, you may sometimes need to use stock HVAC images or other paid avenues of image collection to create the site you want. When using stock or paid photos, ensure that they aren’t overused by conducting a few quick Google image searches. Resize your HVAC images instead of shrinking them down to avoid long load times that can hurt SEO. Your images should be formatted according to what they present. For instance, photographs typically format best as a JPEG which is the most versatile format. For graphics and other images types, GIF and PNG formatting may work better. GIF formats have a limited color range but offer small file sizes and a translucent background. This format works well for logos and simple images. PNG formats deliver high resolution and a transparent background but often come with large file sizes which can slow download times. This formatting style should be used only with graphics and animations that require high-quality resolution and is not ideal for all rich media selections. The Format That You Use for Your Image is Crucial for Maximizing User Experience. In order for your images to be indexed by Google, they must be properly optimized. Naming images for SEO can be difficult, but is also crucial for the optimization process. 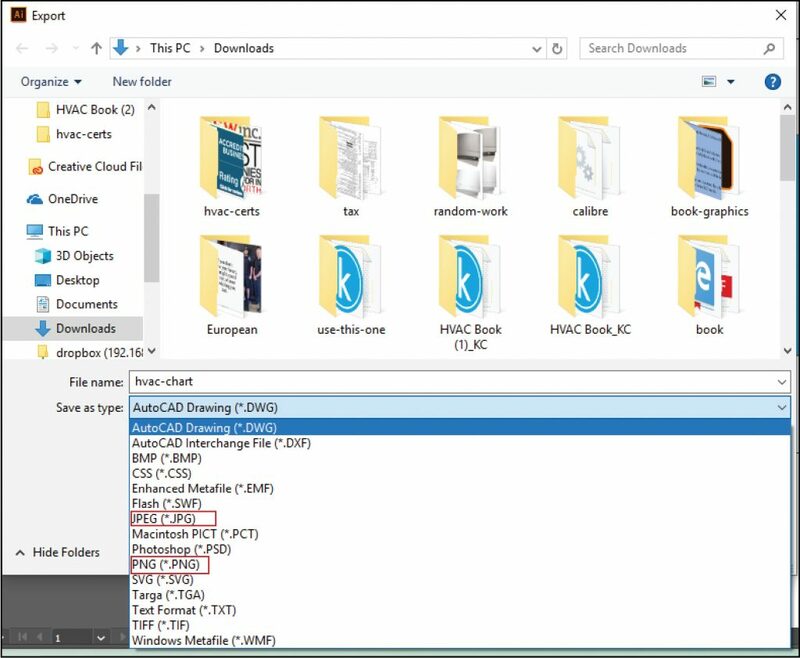 The file name of your image should be descriptive and have a prominent keyword. The metadata attached to your image is also important. You can find this data by right-clicking your image from the library and selecting Properties and then Details. You can then delete all useless information to create metadata that Google bots can easily index for better rankings. The alt text of your image appears when the image is obstructed for some reason. The alt text should describe what’s in the image while using a keyword if possible. Along with the alt text, the caption is crucial for Google indexing and should provide a short connection to the content as well as a primary keyword for optimal Google ranking. When Using WordPress, Metadata is Easily Entered for Each Image. When selecting a keyword to use for image optimization, use keyword tools like MOZ or SEMrush to identify the most beneficial words possible. These programs offer keyword metrics such as volume, difficulty, and competition so you can locate the ideal keywords for your purpose. Use top keywords in image names and title tags to help Google identify the main topic of your image. Then, utilize specialized keywords in your image caption for more focused optimization to appear in local, map, and image searches. 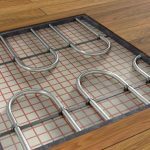 For instance, an image titled Residential Furnace Repair could use a keyword such as Furnace Pilot Light Repair in the caption to focus crawlers on specific information. Use MOZ and Other Keyword Programs to Find Secondary Keywords for Image SEO That Can Boost Appearance in Specialized Searches. Google uses the surrounding content to verify your images. Therefore, it’s imperative to place your images near relevant content. Use keywords and keyword phrases in the text surrounding your images to ensure that Google correctly indexes your site page. Add your images to the sitemap to better allow crawlers to quickly retrieve your information. For WordPress sites, this can be done with an XML plugin. Photo Use: When using photos on your website, ensure they are high-quality and intriguing. Choose shots that clearly display an action or service such as a technician working on a repair project. Another top choice is staff and office photos which work well on About Us and Contact Us pages. Infographics: These images should present clear, accurate information and should have correct attribution tags to prevent copyright problems. Charts/Graphs: Use these images to present difficult information in a more appealing manner. Ensure each graph is properly labeled and the information is correct and accurate. Charts Can Deliver A Lot of Information in an Easy to Read Format. Photos Reveal Real-Life Examples and Visuals. Adding these types of images provides the user with a better experience along with displaying your company’s skill and expertise. 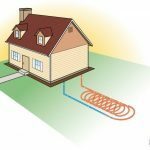 These images are also able to be shared and syndicated to provide your HVAC site with valuable links and reach. Are HVAC Videos Important for Better SEO? When trying to achieve an unbeatable customer experience while providing your HVAC site with backlink and sharing opportunities, video additions may be the rich media addition you’re looking for. In fact, 80 percent of today’s internet use is video-related. 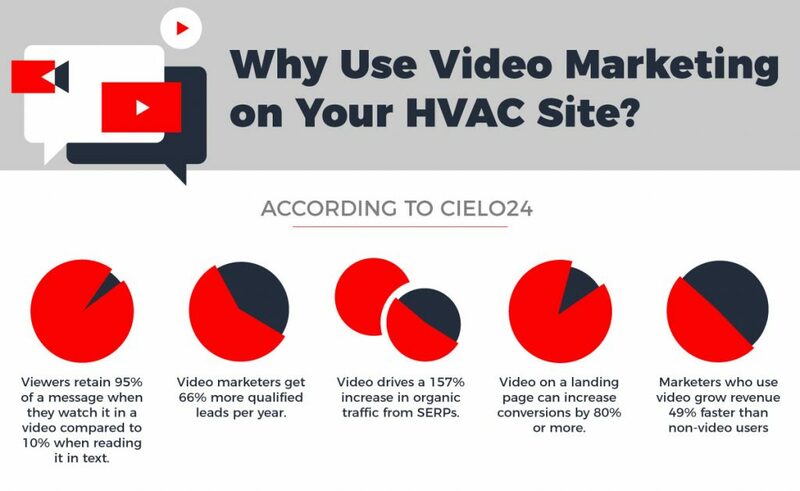 Using HVAC videos on your site can provide shareable content that is directly linked to your HVAC site, create the opportunity for backlinking as others share your content, and generate better overall and on-page SEO for your website. Whether viewers are watching, sharing, or talking about online videos, the SEO benefits can’t be disputed. When your website uses videos that are properly optimized for SEO, your business has a chance of appearing in YouTube searches as well as Google searches, creating further reach and more traffic to your site. Videos can also be used to provide rich snippets on SERPs which can boost your rankings and click-through rate. Like images, however, video optimization must be properly completed in order to get the best results. Much like images, videos must be properly optimized using title tags, keywords, and links to benefit your site’s SEO efforts. Correct optimization of your videos includes on-site SEO efforts as well as SEO and keyword optimization on YouTube or other hosting sites. This requires a multi-step process that can lose effectiveness if not completed correctly. First, you must decide what you want your HVAC video to accomplish for your site and your business. Are you looking to build links and generate shares or do you want your rich media addition to help increase conversions? Identifying the purpose for your video will help you create the content and idea. Videos that are made to generate links and shares must have compelling content that is informative and useful. How-to, demonstration, and interview videos work well as link builders and provide shareable content that’s interesting and compelling. One Advantage of Video on Your Site is the Opportunity for Link-Building Through Shares. When utilizing videos for link building or share generation, it’s common to use a secondary platform such as Youtube to host your video. This also allows your video to appear in helpful Youtube searches which can generate more traffic to your site. Videos that display material and product use or direction, as well as interview and news videos, provide excellent avenues to help increase conversion on your site. These videos can help provide additional information and techniques that lead a user to complete your desired task. Many times, HVAC company owners choose to host their own videos on their site. While self-hosted videos can be difficult to set up, they have great benefits that can’t be found with embedded video options. For instance, self-hosted videos are able to generate a rich snippet on SERPs that can give your business an edge among the competition. However, this method prevents your video from appearing on Youtube searches and can hinder sharing and likes. When using WordPress, the Yoast plugin allows you to add a rich snippet to search results without having to self-host your video, delivering the best of both worlds. With the Yoast Plugin You Can Use a Third-Party Host and Get Self-Hosting Benefits. You should never begin a video without sufficient planning. Your topic and ideas to be discussed should be preplanned with regard to keywords, both primary and secondary. This will ensure that your video stays on track and delivers helpful, informative information to visitors. The keywords used in your video should also be researched to ensure your video delivers optimal SEO for your site and your content. Even in a video, keyword research is crucial. Your keywords will be used in the video itself as well as in the video URL, title, and tags in order to index correctly for your content. Your keywords should be researched using effective tools like MOZ or SEMRush and should include both top-level keywords and specialized keywords. A top-level keyword may include general terms like “roof repair” or “air conditioner service” while specialized keywords are more specific such as “ductless A/C repair” or “sewer line replacement”. Using both types of keywords can help improve your chances of appearing on SERPs. Programs Like SEMRush Help Find Keywords That Get Your Site Found. In order to get the most from your video, its SEO functions must be complete. Just like images and content, video can and should be optimized for effective SEO capabilities. Depending on how you use your video on your site, SEO strategies can help tell Google crawlers exactly what your video is about. When uploading your video to YouTube and embedding within your site, make sure to include your brand or a keyword in the URL. 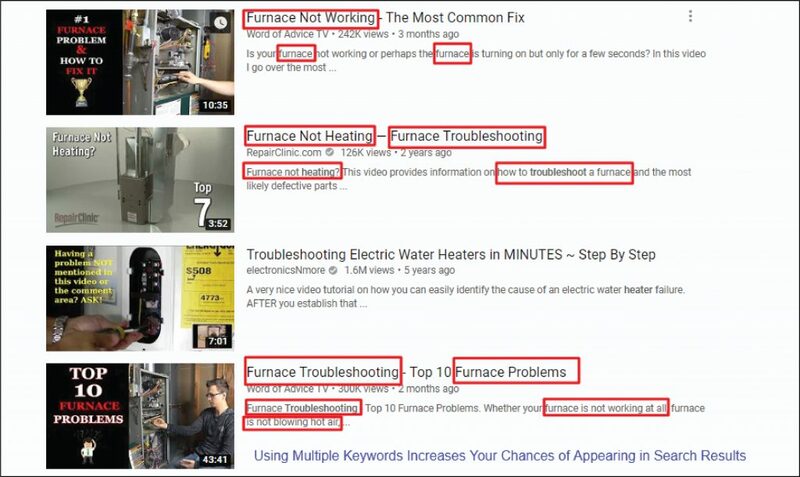 A URL with branding and keywords such as https://www.youtube.com/watch?v=heater-repair-your-company will be indexed by Google and YouTube much better than a URL that looks like http://www.youtube.com/watch?v=h58th948j46d. Completing Your Video’s SEO Helps Ranking on YouTube as Well as Google. This small step gives you a great advantage over most of your competition since this step is widely skipped. To edit your video’s URL, select the “custom URL” option from the “settings” menu. However, in order to have this option, your account must meet YouTube’s requirements. Utilizing Multiple Keywords Throughout Your Metadata Increases Your Appearance in Search results. Next, you want to consider the title of your video. Your title should be approximately 5 words long and should include a main keyword as well as a secondary term, if possible. Your title should also encapsulate the idea behind your video. For example, if your video is about how to repair an air conditioning unit, a good title could be “Central Air Conditioner Troubleshooting and Repair Instructions” over more general options such as “A/C Repair” or “HVAC Repair”. This provides a much clearer picture of your content which is more easily indexed by Google crawlers. Once your title has been created, it’s time to write a description that will be displayed along with your video’s link. YouTube video descriptions cannot be more than 5000 characters and should be clear and to the point. When creating your video description, try to use the same keywords as you used in your title, and put more important keywords at the beginning of the copy. YouTube provides searchers with a preview of your video description that is a few lines long and then attaches a “see more” button to view the rest of your content. Just as important to your YouTube video as the title and description are the tags you use to label your video’s subject matter. Tags should include a combination of both general and specific terms to ensure that your video appears in more search results. While YouTube allows as many tags as you want, there is a 400 character limit across all tags. YouTube recommends 6-8 tags for every video for proper optimization. If you would rather upload your video straight to your site, you will need to submit an XML sitemap in order to tell Google that you have a video. Each Listing on Your XML Sitemap Opens the Contents of Each Entry. In order to fully optimize your video, you will want to surround it with relevant content that includes headings, schema.org, and traditional content, all of which should have primary and secondary keywords. Keyword placement is even more crucial in this type of video display because other video SEO elements are less prevalent, such as tags and the title. In order to submit an acceptable sitemap, you must include a few basic points of information. These values should be created with keyword usage in mind to maximize your video’s SEO. First, you will need to create a code line to tell Google the location of your video on your site along with the image and location of your thumbnail preview. After Clicking on the Main Link, You WIll See the Video Entry for Your HVAC Site. Next, add a title for your video, which can be up to 100 characters. Your title should be clear and concise, using at least one keyword. After your video title, you will need a description. It’s crucial to keep your description to under 2048 characters because longer descriptions will be cut off. Rich Snippets Give You An Edge Over Your Competition by Providing a Preview of Specialized Content. The main benefit of hosting your own video is that a rich snippet will be visible along with your business listing in search results. Since viewers are six times more likely to click on a website with a video, this can dramatically increase your click-through rates. When you use a third party to host your video, such as YouTube, the URL for your video begins with their brand tag. However, when you host your videos, the URL begins with your brand which can boost visibility and reach. This can also help to build direct links to your site when your video is shared or displayed. Along with your video file, you should also create a text transcript of your video’s content. 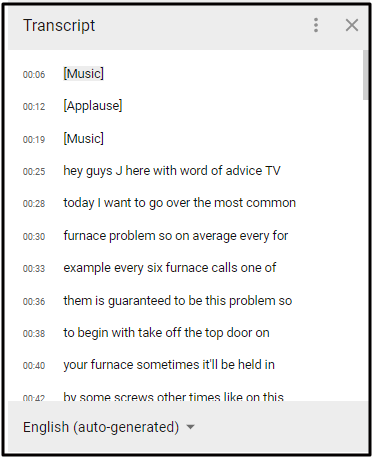 Since Google cannot properly index audio and video for searchability, a text transcript allows crawlers to identify the content and keywords within your video. While transcripts are time-consuming to create, they allow ranking for multiple terms instead of only the keywords used in the title and description. Because of the boosted SEO effects, adding a transcript to your video is proven to improve views, engagement, and ranking on Google and other search engines. When You Upload Through YouTube, Your Transcript Can Be Added or Auto Generated. Now that you have fully optimized images and video on your site, audio is another rich media option that can make a nice addition to boost your site’s performance even further. Audio, When Optimized Correctly, Can Increase Reach and Conversion Rates. Audio files, such as podcasts, can enhance your site, are rich media options that create a more enjoyable user experience, and provide additional SEO opportunities. Audio files can be embedded to your site by using third-party hosting sites such as BuzzSprout, Pod Bean, or Castros, or can be added to your site through the use of a sitemap, much like video. No matter which way you choose to add your audio content, correct optimization is imperative for maximum results. Just as with video, your podcast or audio file should be well planned before anything is ever recorded. With so many podcast options already available, you want to provide your listeners with something new. Try to identify information that can set you apart from your competition. This will give you an opportunity to not only provide new and useful information but also to rank for keywords that other sites aren’t ranking for. Keywords are just as important in podcasts as they are with images and video. Keywords are how Google will index your information for search inquiries so they should be researched and implemented accordingly. The same research sites used for finding and researching traditional, image, and video keywords can be used to find relevant audio keywords. Remember to note the volume, difficulty, and competition of the keywords to ensure you are implementing terms that are productive. 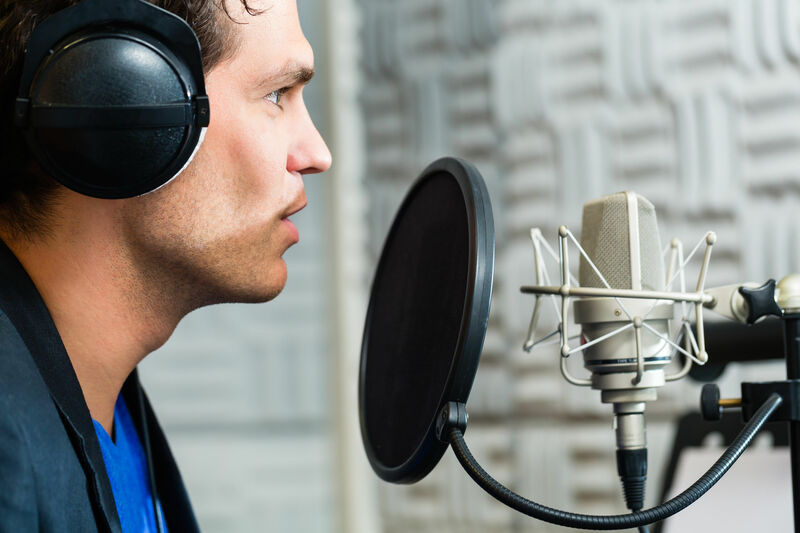 Once your audio file or podcast is created, it’s time to add it to your HVAC site. Like with video, you have a choice on how you would like to add the content to your website. 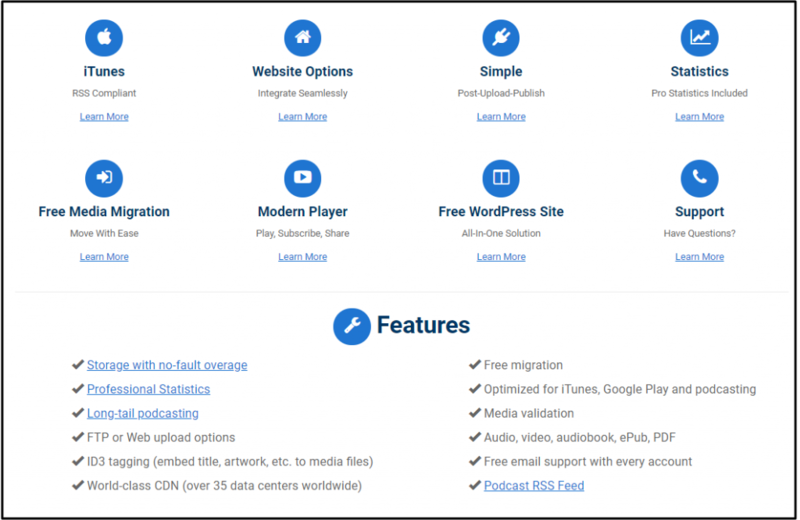 You can use third-party hosts such as Blubrry, PodBean, or Buzzsprout to host your audio files on an RSS feed or you can submit a sitemap to add the podcast directly to your site. Third-party hosting is common with podcasts and provides simpler attachment to your site as well as easier SEO creation. Through these sites, you will simply embed your audio feed into your site using an embedding code provided by the host. While each host site offers incredible benefits, it’s important to choose the best site for your needs and experience level. A superior hosting site means nothing if you can’t properly utilize it. 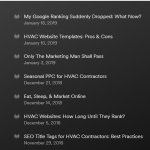 Adding proper metadata to your podcast or audio file is crucial for it to have a positive impact on your HVAC SEO efforts. Both primary and secondary keywords should be used along with efficient tagging and linking. While these datasets must be created using the sitemap submission when self-hosting, most hosting sites offer SEO entry tools to make your metadata creation easier and more productive. 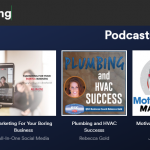 Your HVAC podcast will have two separate titles- one for the show and one for the episode. With your feed, you are able to group podcasts together by topic, date, or just about any other grouping property. These groups are called shows. Within each show, you will have multiple podcasts that fit into that category. These are called episodes. Your podcast show title should be no longer than 60 characters to avoid being cut off and should include at least a primary keyword with either a location or brand tag. It’s also helpful to include a secondary keyword if possible. Show titles are displayed on directory lists, so should be very explanatory of the content. If your podcast is about energy efficient air conditioners, a good title may be “Energy Efficient A/C Units in Your Town, USA”. Another option would be to include your brand in the title, which might look like, “Energy Efficient Air Conditioners by Your Company Name”. This allows your HVAC show to be indexed for not only keywords but also for location and brand searches. Next, your episode title should be comprised of a primary and a secondary keyword that explains exactly what the content is about. An effective HVAC episode title might look like: “Are Ductless Air Conditioners More Energy Efficient?”. These titles will be displayed once a viewer selects your show. They should be explanatory and communicate the exact information in your podcast. Like the title, the description of your podcast is made up of both the show category and the episode category. The show or podcast description will appear in podcast directories and varies in length according to which directory you use. The Descriptions of Your Show and Episodes Should be Descriptive and Concise, Using both National and Local Keywords. This description should utilize both primary and secondary keywords along with branded long-tail keywords. The episode description will be displayed on the show’s directory page and tells the viewer what each recording is about. Episode Titles and Descriptions Should be Concise and Utilize Multiple Keywords. Podcast episode descriptions should be no longer than 255 characters to avoid being cut off and should use top keywords as well as secondary keywords for full optimization. The episode description should be specialized to the content of only that recording. Therefore, service and product keywords can be utilized with greater effect. For instance, while your show description may discuss the advantages of more energy efficient air conditioners, your episode description may focus on energy efficient Rheem A/C units installed by your company. By using this method, your podcast can reach listeners searching for your company, energy efficient A/C units, or specific details on Rheem brand units. An RSS feed stands for “Rich Site Summary”, but more recently has been coined “Really Simple Syndication”. This feed is a list of your rich media and resembles a sort of digital table of contents. Your podcast’s RSS feed is also the basis for your URL. You want a primary keyword in your RSS feed’s URL as well as your brand. This way, when you submit the feed to platforms for viewing, it can be easily indexed. Once your podcast is successfully uploaded to its host and thoroughly optimized for searchability, you are ready to embed it into your site. This can be easily done with an embedding code offered by your host platform. Along with embedding your podcast onto your site, it’s important to create fully optimized content that relates to the audio presentation. Be sure to include primary and local keywords along with varied H2s and H3s for complete optimization. You should also include meta tags and titles on the page, as well as an optimized image. This will allow your rich media to be searchable on SERPs as well as audio search platforms and create more indexable content to help your page rank higher. Surrounding Your Podcast With Relevant Content Helps Google Decipher Your Topic. 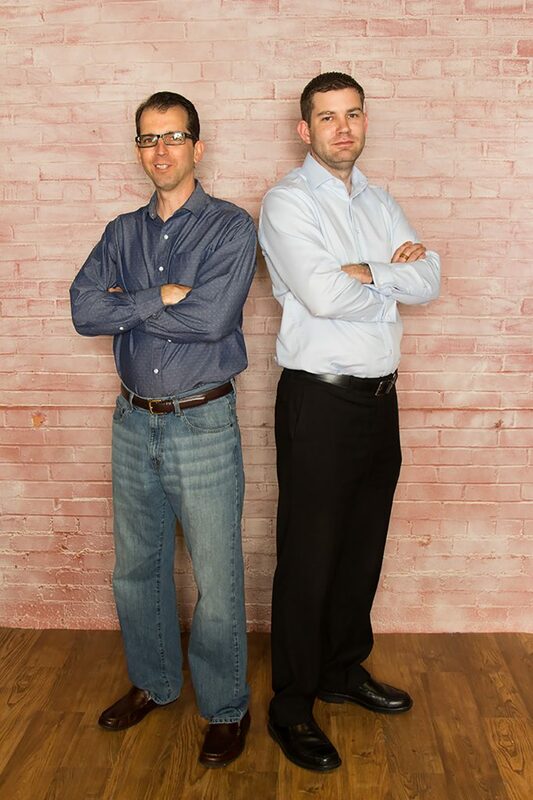 Our Experts Can Help Optimize Your Rich Media to Boost Your HVAC SEO and Maximize Your Reach. Our team also provides updates and data that delivers a clear picture of your HVAC site’s progress and performance so you never feel in the dark. 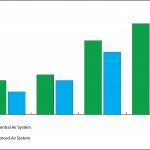 We deliver comprehensive reports and figures so you can not only see how far your HVAC site has come, but you can also see where it stands now. 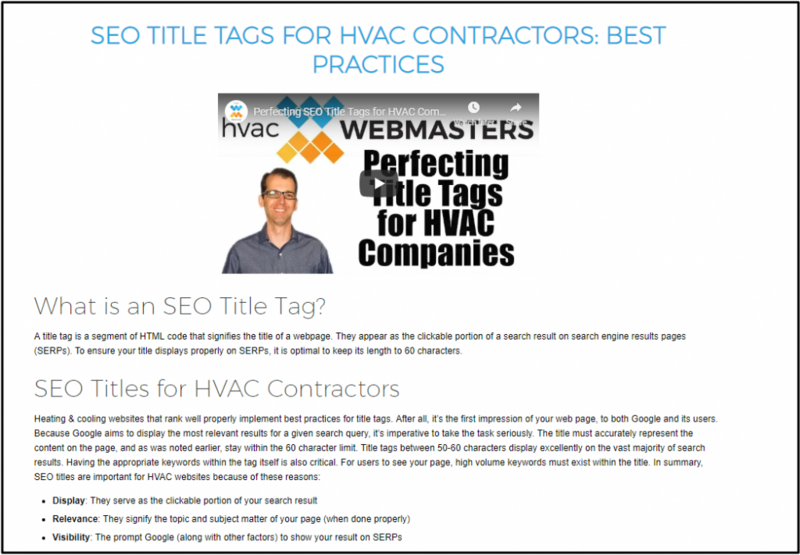 If your website is getting the visibility it could be, call the HVAC Webmasters team at (800) 353-3409. We can help your business get seen online.